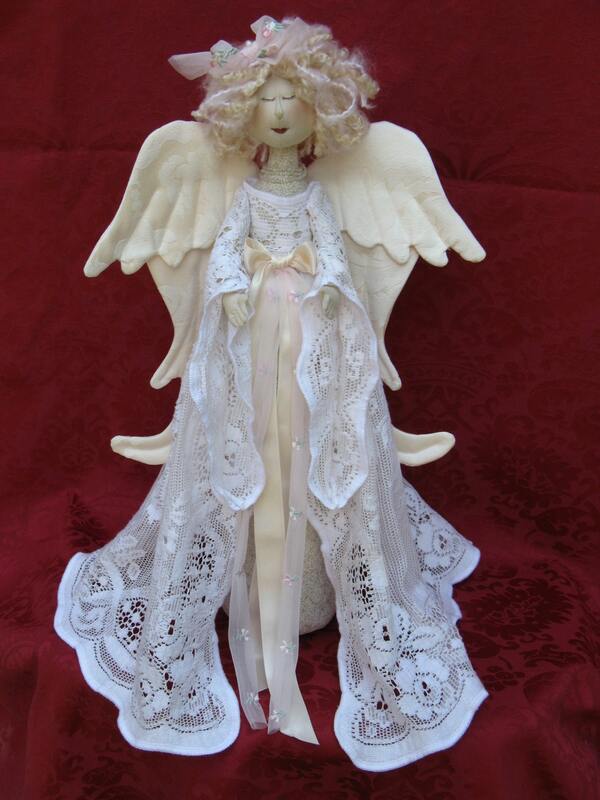 18" Free Standing Holiday Angel. This doll pattern makes one of the most beautiful dolls you will ever make. Beautiful face, wings and lace gown describe this heavenly Angel. Mailed Pattern comes complete with easy to follow instructions, doll pattern, clothing pattern and suggested materials list. I bought several patterns from this shop and I will definitely buy more! So many cute patterns! Instructions are details and easy to follow. Thank you for having mailed copies available! Fast shipping, easy transaction. Thank you so much!